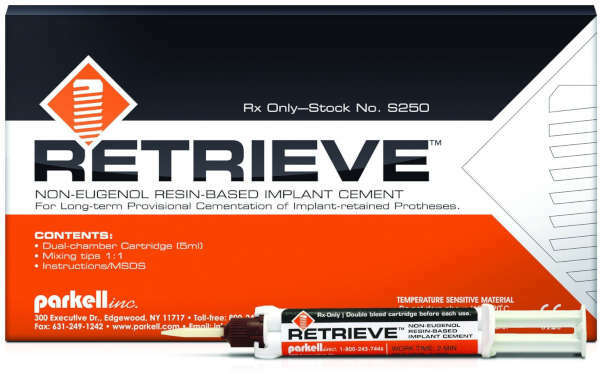 Retrieve Resin-Based Implant Cement | Parkell, Inc.
There’s no bonding, priming, or silanating required when using Retrieve. It is slightly flexible and does a great job holding onto metal or ceramic implant surfaces without permanently bonding to them. Retrieve conveniently self-cures in the dark underneath any crown or bridge, dispenses easily from an auto-mix syringe, and flows well for simple and complete seating of restorations.